This isn’t going to be one of those blog posts about the wonder of spring, ok, maybe it is. I’ve always been a winter person, more than the chill in the air or the fabulous array of winter fashion to be found, winter to me is that feeling of walking out of the frigid Cape Town outdoors and into a warm home. Winter is pot roast and grey skies and relentless rain and all the things I adore. Now here’s the but… this winter felt a little too unforgiving. It was colder than usual, we even had a sleet storm and the relentless rain was, well, just slightly too relentless. So when the first of September rolled around I, like everyone else did a little gig of happiness. Spring is here. Summer is on the way. Cape Town is slowly waking up again. I always feel like this is the best time of year for all improvements to happen. Work improvements, life improvements, body improvements etc. We put so much pressure on ourselves to make big changes at the end of each year, but really, is there any better time than spring? 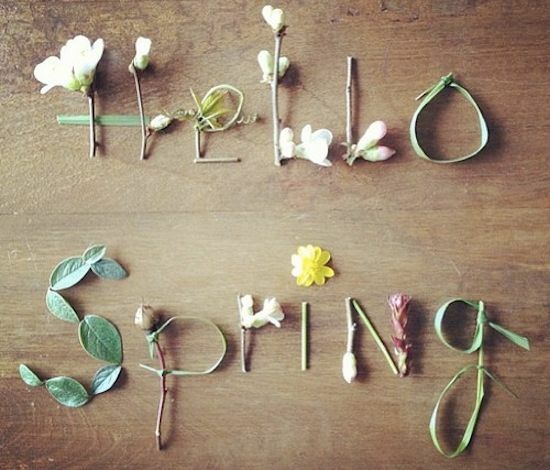 The flowers are blooming, the winds are warming, and the sun shines a little brighter. It’s most inspiring. Personally, my improvement to do list is quite long. Aside from losing the 25 arse’s and 52 chins I gained during my pregnancy I am also starting a new business venture and I’ll be attempting to find a balance between being a mom and being the second half of a healthy committed relationship. Lately it’s all Sophie all the time and I sometimes forget Sophie has a dad that loves me and needs attention too. So here’s to spring time jolly & improvements & not neglecting your man. And with summer comes... ME!!!!! !